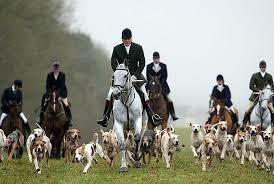 The case against fox hunting seems to me to be based on emotion not fact. Therefore, I would like to put before those who bother to visit this site a few of the logical reasons why I support fox hunting. I am encouraged to do this by the fact that over several years four senior officers of the League against Cruel Sports have resigned from this well meaning but misguided organisation after learning a lot about hunting. Eventually, they became convinced that logic supported the case for hunting as preferable to other methods of controlling numbers. I feel, therefore, that all you Surfers deserve to be given the facts. You can then come to a logical view on this contentious subject.